Parents, are you like me and feel that cheese strings are an overly-processed waste of money? Then have I got a solution for you. 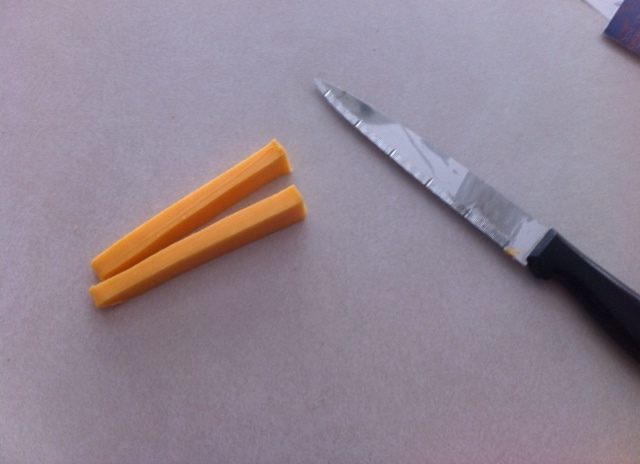 Read on to learn my incredibly easy way to make wholesome, 100% Real Canadian Cheese strings that fit any budget. Yes, ANY budget (as long as you don’t overspend on the band-aids). Step 1. Choose your big brick of cheese. 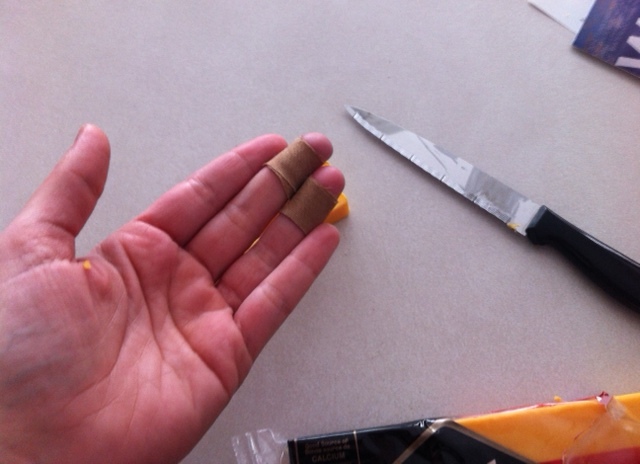 I went with the Old Cheddar, but marble, mozzarella, medium all work equally well. Feeling adventurous? Why not havarti? Step 2. 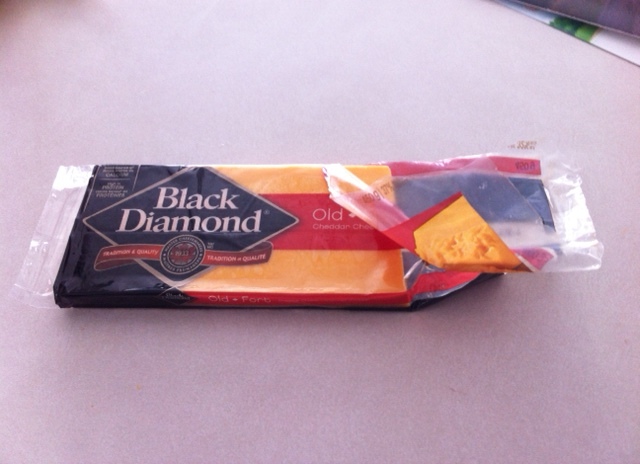 Slice a large chunk of cheese. Don’t worry if it’s not perfect, it’s the slant that makes it interesting. Not too big, keep their expectations manageable. Step 3. Slice in half, lengthwise. Step 5. Wipe up any blood and elevate your hand. Ok, maybe this should have been Step 4. It’s the slant that makes it interesting. I say that same thing about my house. 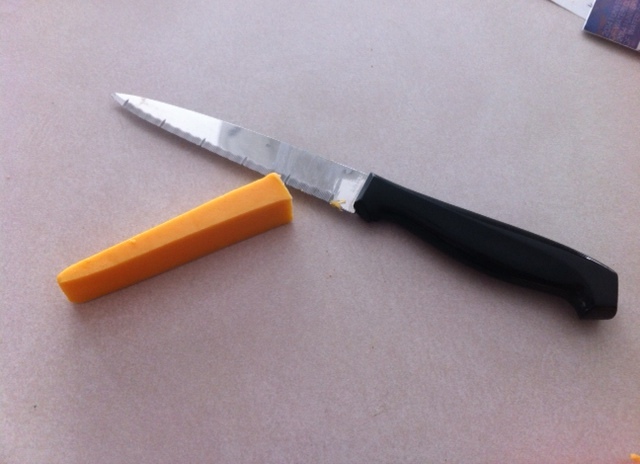 Pingback: DIY String Cheese - What The Flicka?